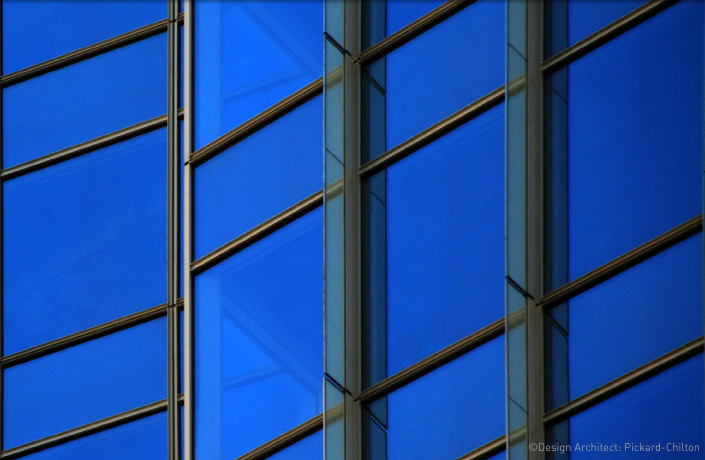 Buildings consume 30-40% of all energy use worldwide and more than 75% of the building stock in 2050 will be made up of buildings that exist today. 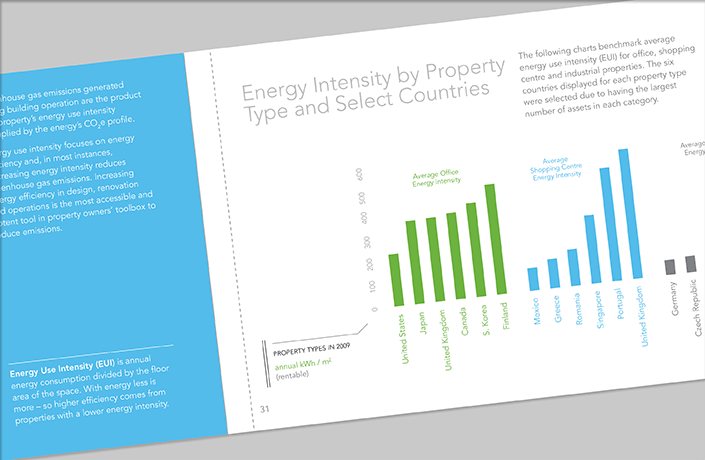 Greenprint began as a member-based foundation with a mission to reduce the carbon footprint of major commercial real estate portfolios according to greenhouse gas reduction benchmarks from the International Panel on Climate Change (IPCC). The program provides members with access to carbon tracking tools and reporting on building energy use and ghg emissions. L Studio worked with Greenprint Foundation from its inception to create the brand, print collateral and website for the organization’s launch in 2010. The foundation was incorporated into Urban Land Institute as the ULI Greenprint Center for Building Performance in 2012, and will continue to advance the goal of a 50% reduction in building emissions by 2030. 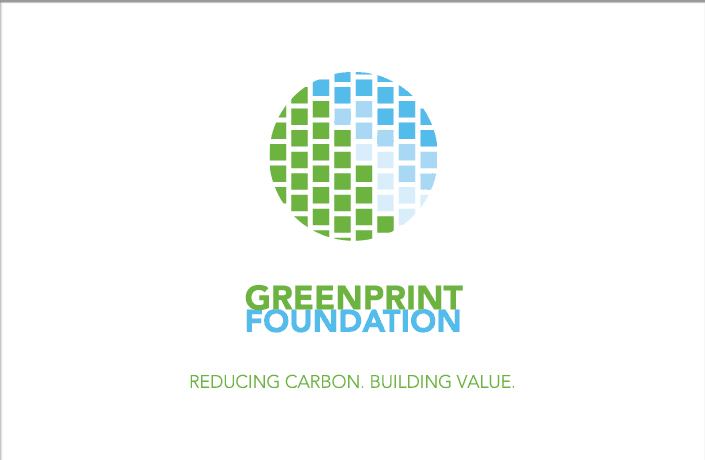 Design of Greenprint Foundation logo, which alludes to both a city skyline and the foundation’s role in tracking and graphing carbon emissions of commercial real estate portfolios. 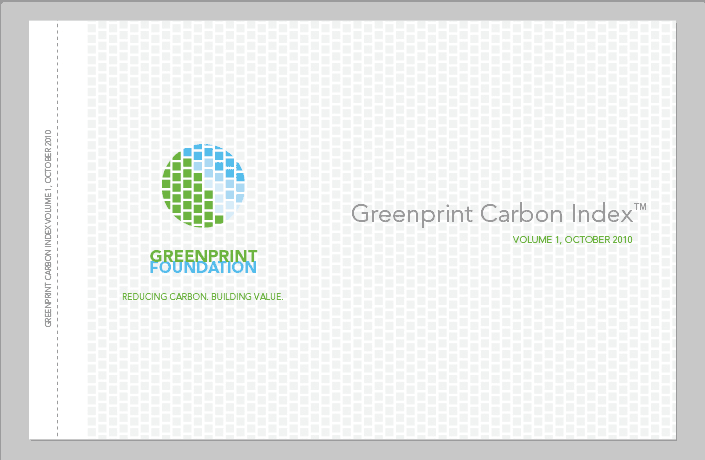 Layout and organization of the foundation’s first carbon index report. 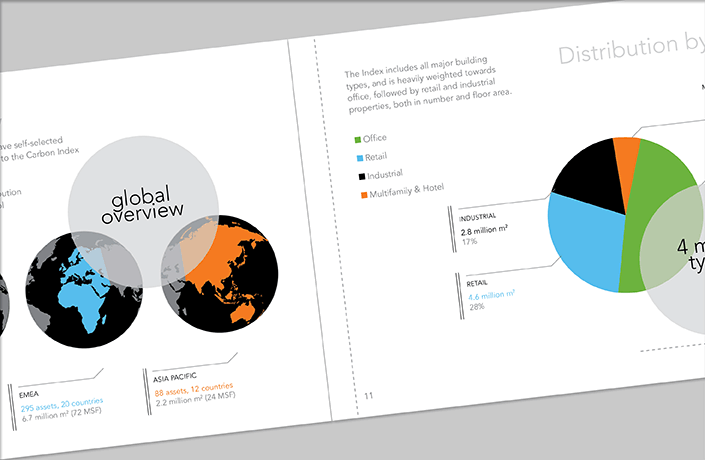 Reporting documents have been produced ongoing. 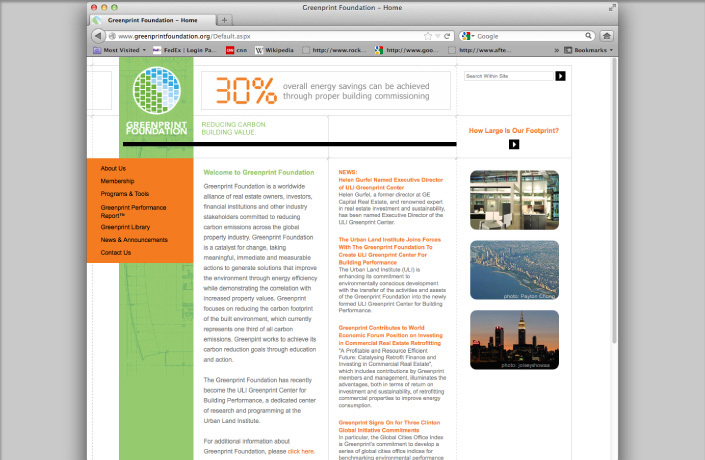 Design of the initial brochureware website for Greenprint Foundation.